You'll enjoy a bit of beach vacationing at St. Kilda Beach and Catani Gardens. 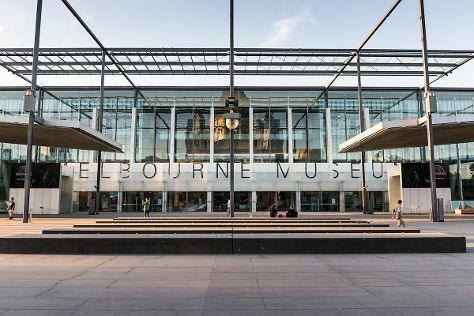 Satisfy your inner culture vulture at Melbourne Museum and Old Melbourne Gaol. Explore the numerous day-trip ideas around Melbourne: Cowes (Koala Conservation Centre & Phillip Island Wildlife Park). Spend the 2nd (Sat) wandering through the wild on a nature and wildlife tour. There's lots more to do: admire the natural beauty at Royal Botanic Gardens, get your game on at Zero Latency, enjoy breathtaking views from Eureka Skydeck 88, and admire nature's wide array of creatures at Melbourne Zoo. To see traveler tips, more things to do, where to stay, and more tourist information, read Melbourne journey planner. If you are flying in from Germany, the closest major airport is Melbourne International Airport. Expect a daytime high around 24°C in October, and nighttime lows around 9°C. Wrap up your sightseeing on the 5th (Tue) to allow time to travel back home.